Today is the Sunday of the Palms and that remind me the Palm d’or of Cannes Film Festival. 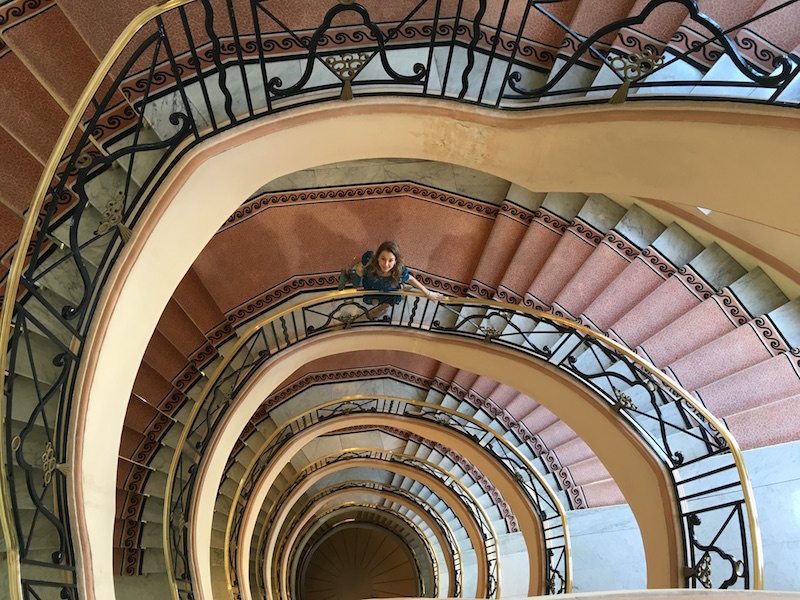 I accidentally found those photos I had taken last year in Cannes during the Film Festival, at the Chopard rooftop at the Martinez Hotel. The floral decoration of the terrace with palm branches made me think of this day: the Palm Sunday. Palm Sunday is a religious event, is a common celebration of the Sunday before Easter. From this Sunday begins Holy Week. This Easter festival is observed not only by Catholics but also by the Orthodox and Protestants.On this day the Church celebrates the entry of Jesus into Jerusalem, acclaimed by the crowd that greeted him waving palm branches. 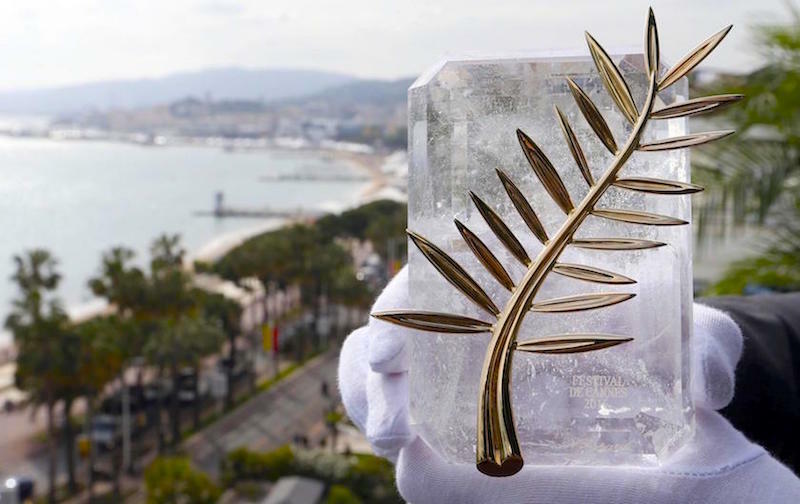 I don’t want to say too much about this theological introduction, so let’s move to the topic that I would like to speak to you today: the famous Palme d’Or of the Cannes Film Festival. The Palme d’Or is awarded the main prize at the Cannes Film Festival, which is, along with the International Film Festival of Venice and at the Berlin International Film Festival, one of the most important film festivals in the world. The Palme d’Or is awarded to the best film in competition. 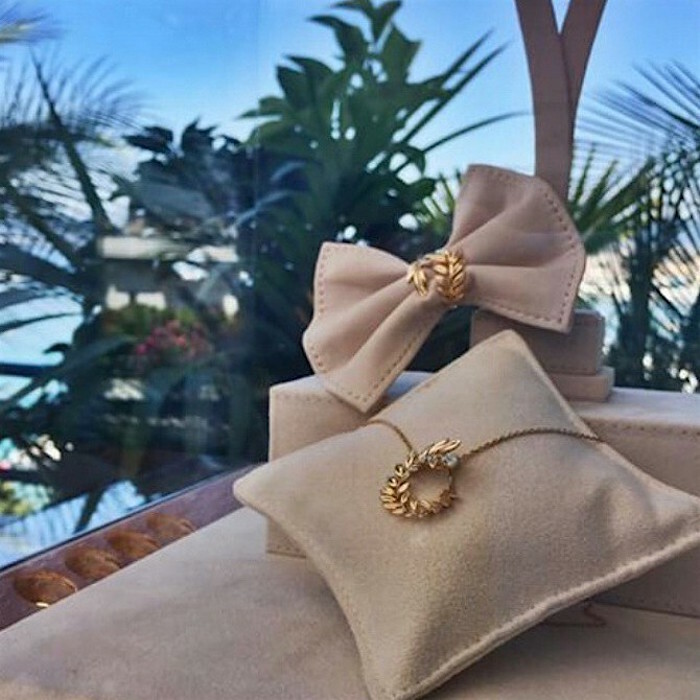 Last year I had the opportunity to be invited to the terrace of Chopard at the rooftop of the famous Martinez Hotel, where I discover the beautiful Palme d’or collection of Chopard. 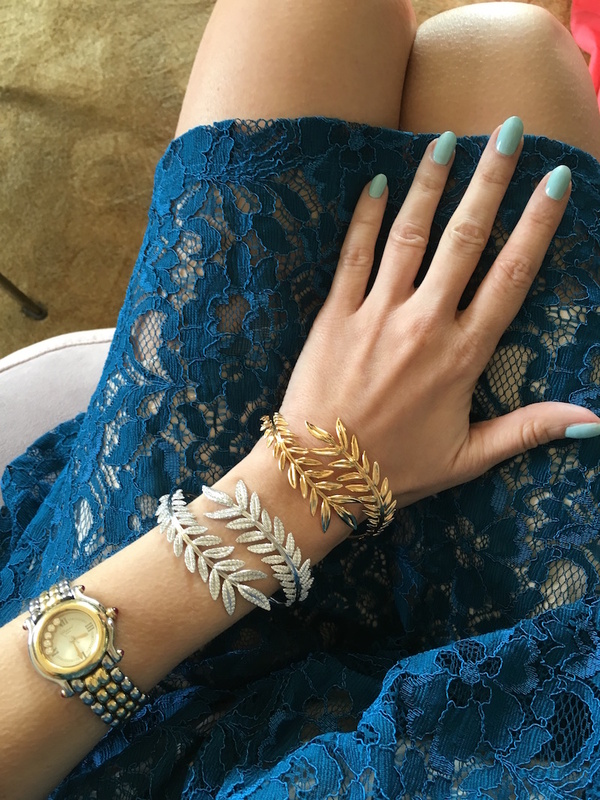 The collection offers you bracelets, earrings, pendants but also watches with palm symbol is gold or diamonds. You can see more photos I’ve taken on the Chopard rooftop HERE and also see all the photos of my Film Festival HERE. I wish you all a good Sunday of the Palms. Dress Très Chic, Chanel bag, Gianmarco Lorenzi shoes, watch and necklace Chopard of the Happy Diamonds collections and earrings Valentina Nessi Jewelry. I wish you all a good Sunday of the Palms!